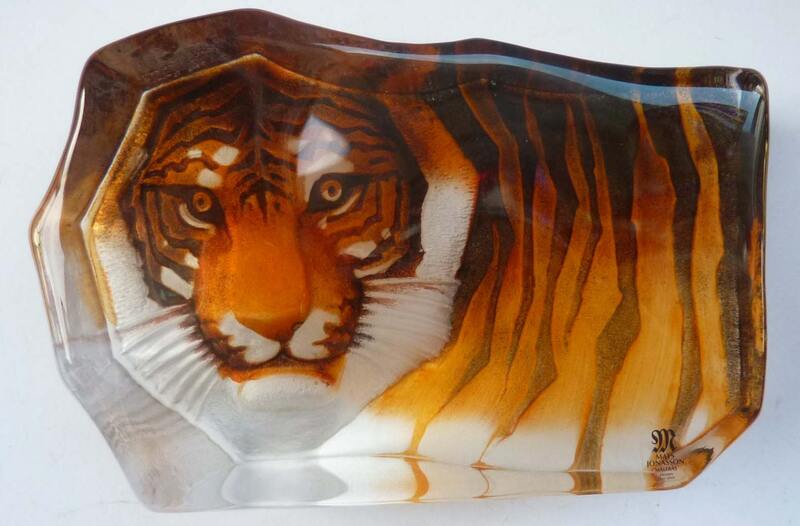 A most stunning and beautiful Mats Jonasson glass tiger from the Safari Series. 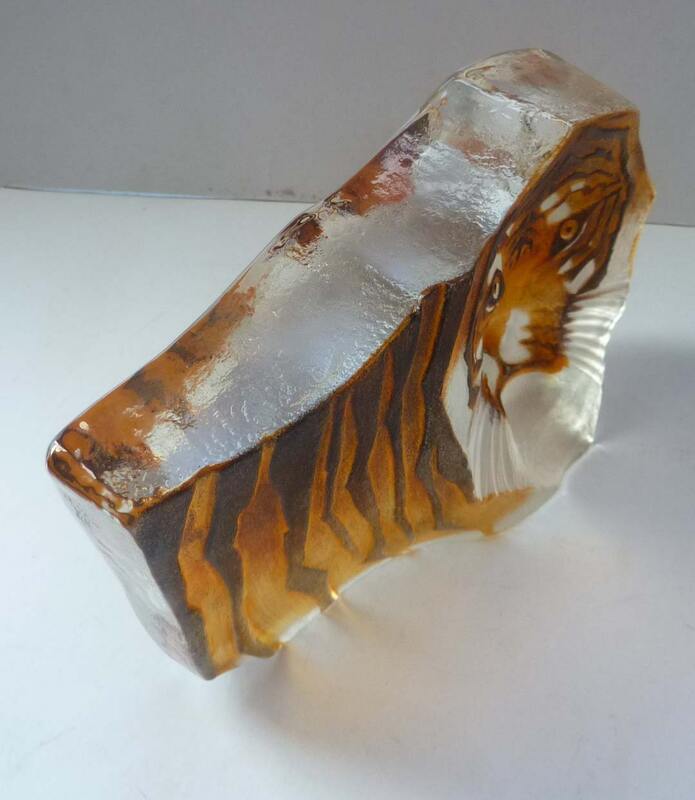 This one is the smaller size model and is 7 inches in length and 4 1/2 inches in height (17.5 cm in length; 12 cm in height and with a depth of 6 cm. 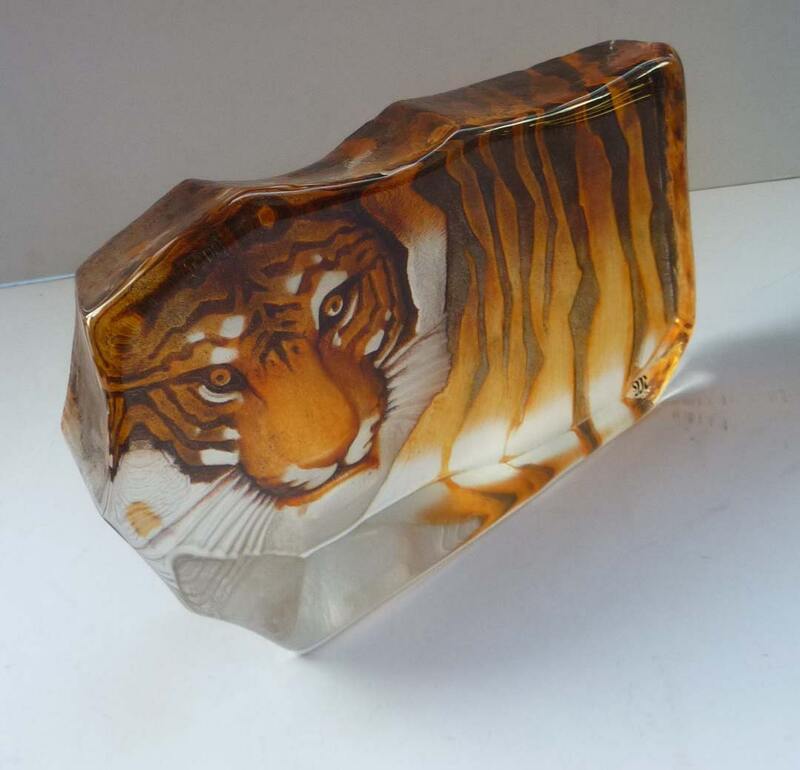 The tiger has been cast, sandblasted and then carefully handpainted on the reverse - so that each piece is a unique creation. 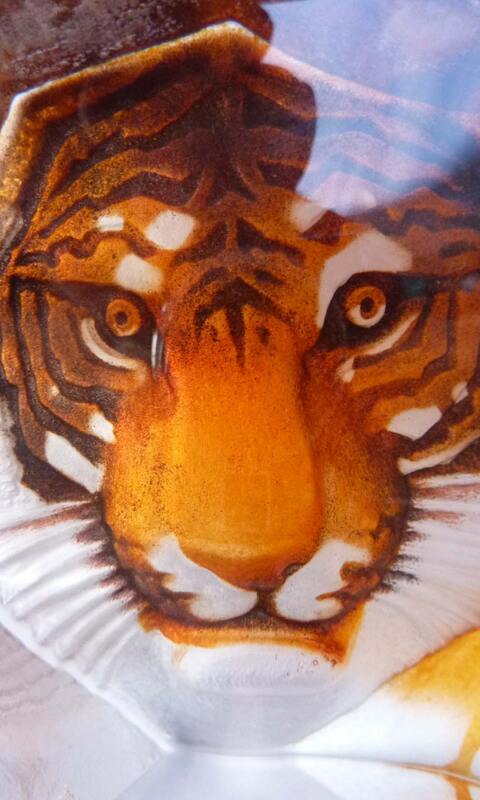 My lovely tiger is in purr-fect condition with its original Jonasson sticker on the front. 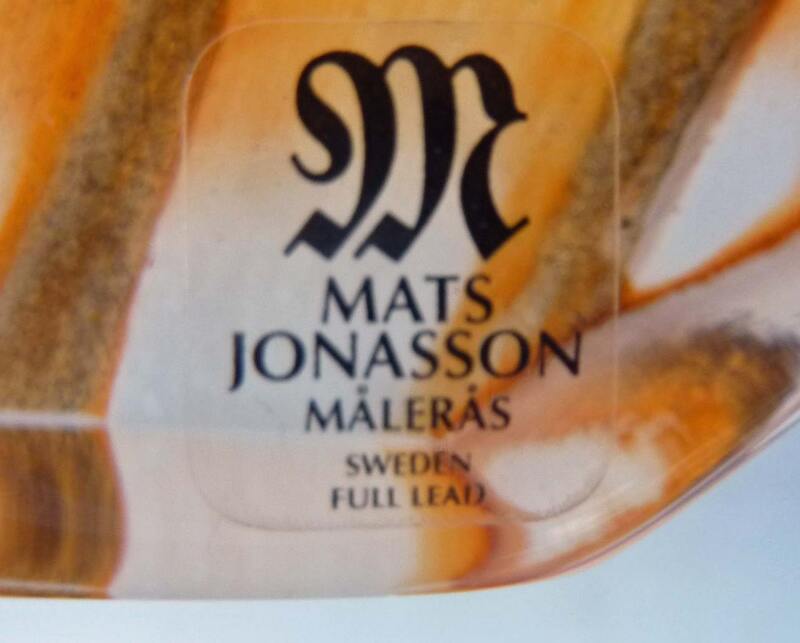 It is also has a full engraved signature on the base. Sadly, due to its weight - this would have to be confined to UK posting only.